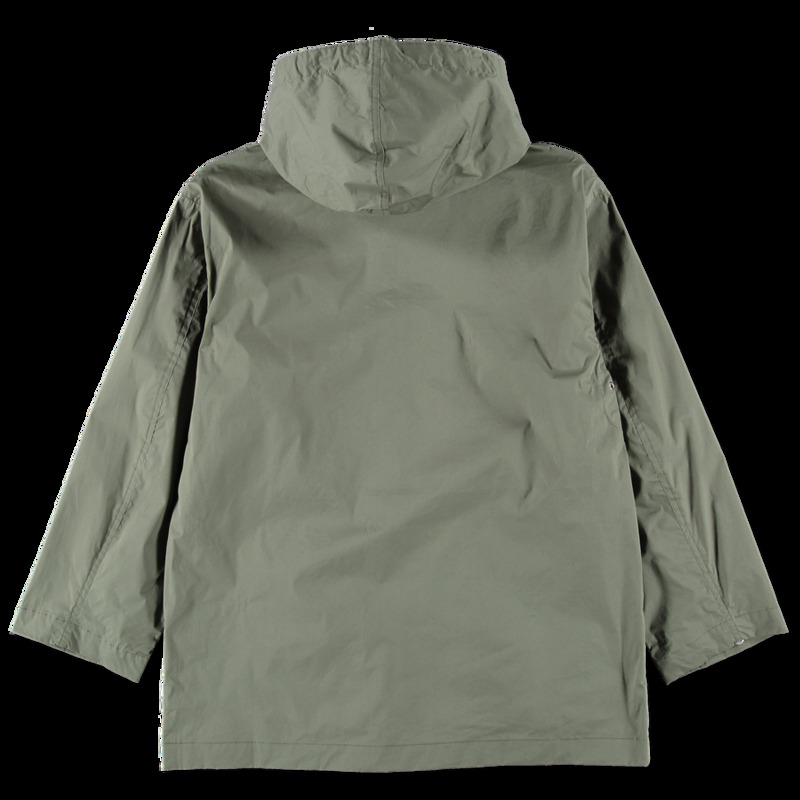 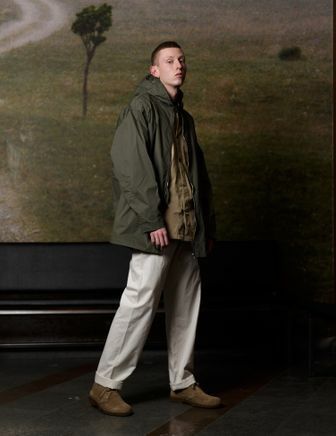 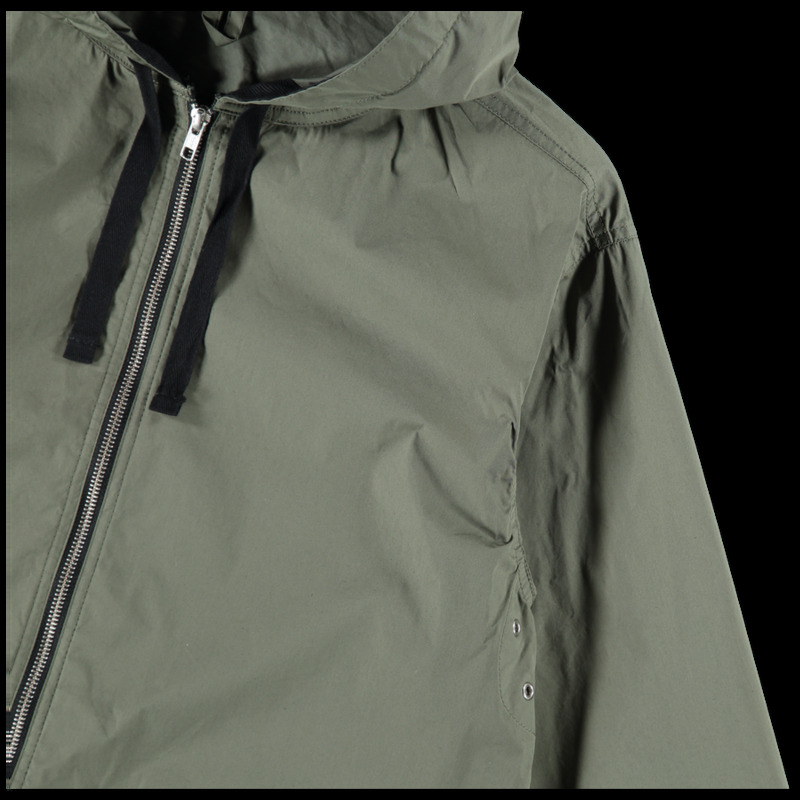 Oversized showerproof anorak with full zip front and concealed side seam pockets. 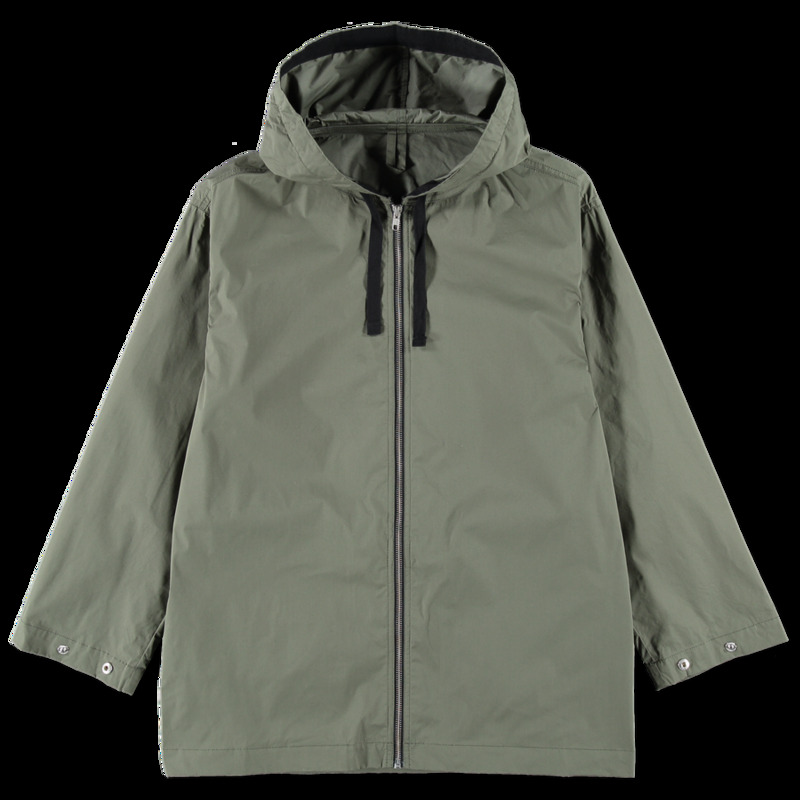 Adjustable press stud cuffs and hood with contrasting herringbone trim and drawstring. 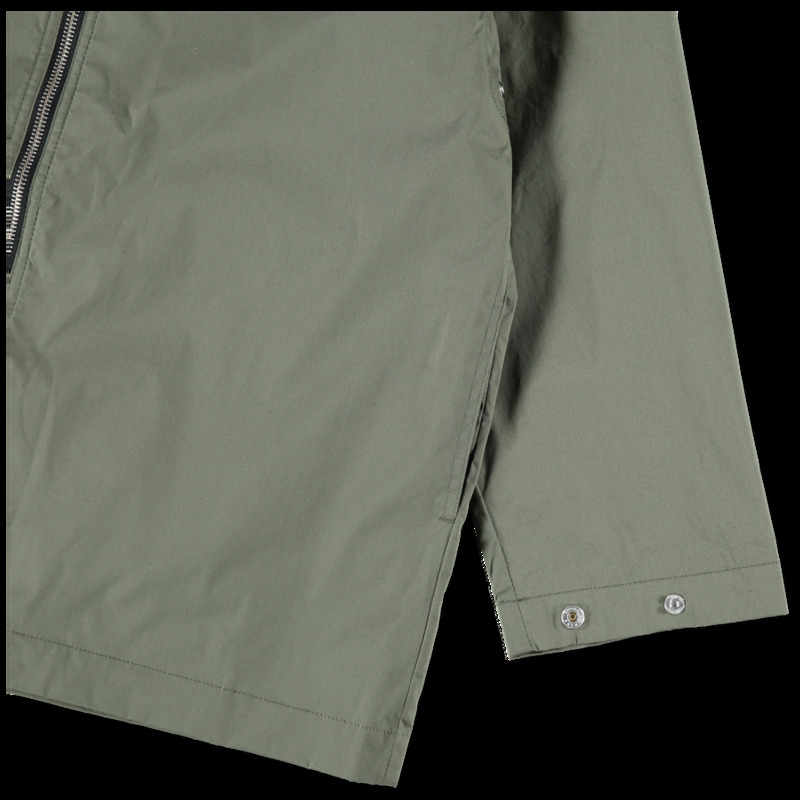 Metal pit eyelets.